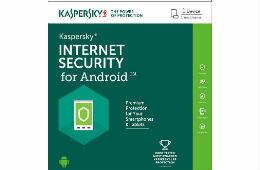 Buy Kaspersky Antivirus for Android Mobiles Worth Rs 365 For Rs 75 only From Amazon. Immediate response to the latest threats; New threats are emerging all the time, which is why Kaspersky Internet Security for Android uses cloud-based methods to give you real-time protection against the very latest threats. Protection from phishing attempts; We check all web links, even those received via text message, to protect your online identity against attempts to lure you to fake websites. Anti-theft capabilities; Anti-theft methods allow you to lock your phone remotely, wipe all valuable information or locate a missing device, so it remains protected, even if it's lost or falls into the wrong hands.